Now you can easily and quickly calculate tolls costs for any route across North America through the Tollsmart Toll Calculator apps for iPhone & Android and web. 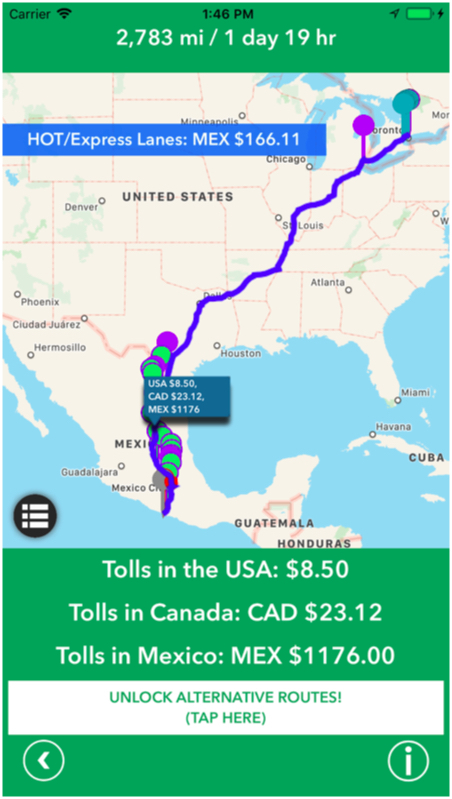 Tollsmart is the only app that calculates tolls costs across all tunnels, bridges and toll roads in the the US, Canada & Mexico and supports all vehicles from motorcycles to passenger cars and RVs to trucks and semis up to 9-axles. It also factors in transponder discounts from over 50 tolling agencies including E-ZPass, I-PASS, SunPass, TxTag and FasTrak! 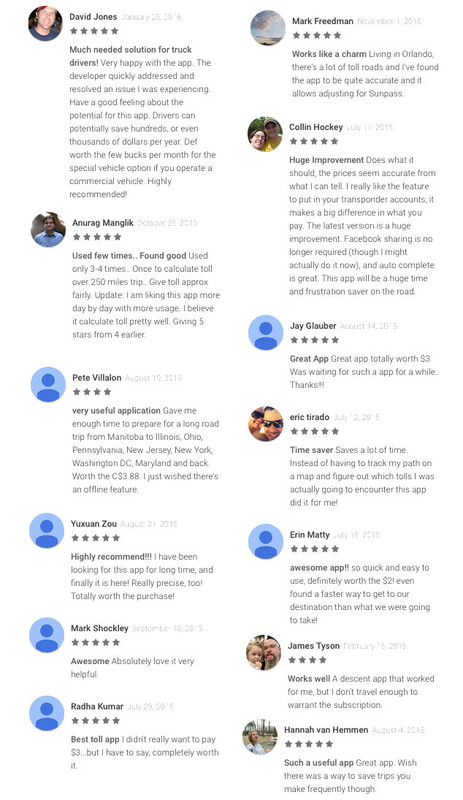 Download Tollsmart for iPhone & iPad or Android for free today and start making smarter driving decisions! The team at Tollsmart is excited to announce that truck-specific routing is now available as an option on the Tollsmart mobile apps and through the Tollsmart API services. 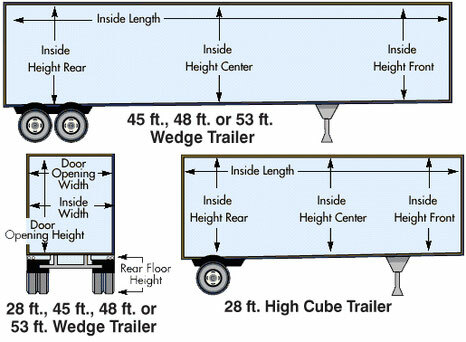 Truck routing takes into consideration the dimensions of the vehicle to limit routing options to those roads where the vehicle is legally permitted to operate, or where other obstacles such as low bridge clearances may apply. To enable truck routing in the Tollsmart mobile apps you first need to be a subscriber to the truck version of the service and have your vehicle stored in the app. 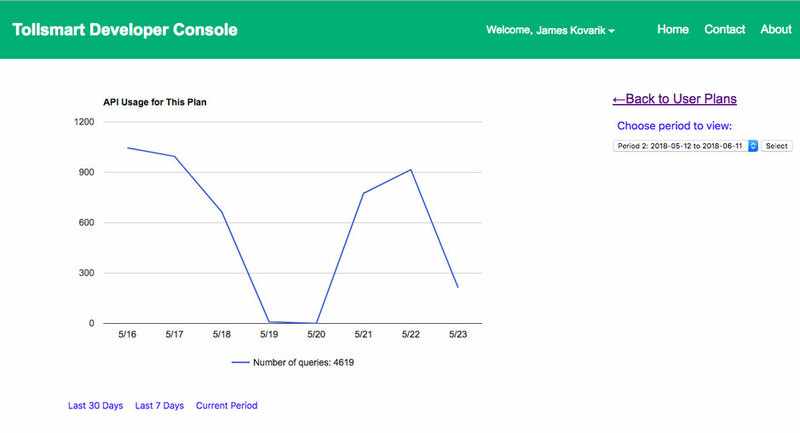 Then go into the Options menu and select Routing Provider and choose the Super-fast routing option (truck routing is now the default routing service under this option). Below are screenshots which illustrate these steps. The team at Tollsmart is excited to announce that current prices for the I-66 and I-64 Express Lanes in Virginia have been added to the Tollsmart apps. Although these lanes have been in the Tollsmart apps since they opened last year, they displayed only the minimum and maximum prices. 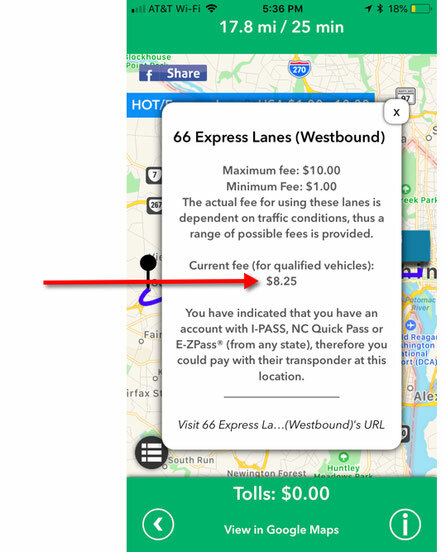 Now that VDOT has made current pricing feeds available to developers we've integrated them into the Tollsmart apps so you can quickly see the current cost to take the Express Lanes. For drivers unfamiliar with Express Lanes, these are lanes previously reserved for HOV traffic that can now be used by solo drivers for a fee, which can change as often as every 5 minutes based on traffic (also referred to as Dynamic pricing). There are now over 30 of these systems (which are also referred to as HOT Lanes or Managed Lanes) across the US with many more planned, and all are included in the Tollsmart platform (click here to learn more about Express Lanes on Tollsmart). 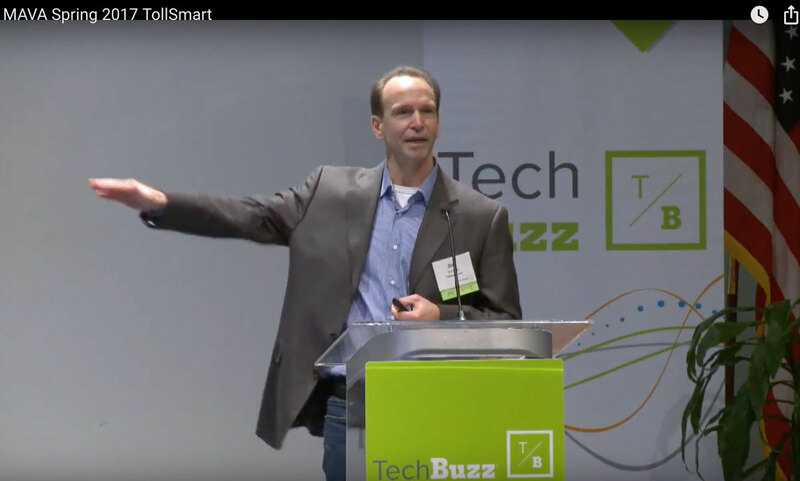 Tollsmart has always been an innovator, beginning with the launch of the first toll calculator to work across all tolling facilities in the US and Canada in April 2015. We soon followed by adding support for commercial vehicles and trucks, an innovative toll tracking service and then support for dynamically-priced Express Lanes. We're now excited to add another first to the list, full support of all toll facilities in Mexico! This means you can plan a trip from Quebec City in Canada all the way down to Acapulco, Mexico and see the toll cost for the entire trip. This is an important addition as tolls are prevalent in Mexico and the costs can be quite high, often higher than in the US and Canada which means our alternative routes feature can help save a bundle of pesos. That's right, pricing is displayed in Mexican pesos, but don't be too alarmed at seeing prices in the thousands as the current rate of exchange a Mexican peso equates to about a nickel in US currency ($1 MX = $.053 US). Similar to the other geographies we cover, support is provided for all vehicle sizes including commercial trucks and there is a map view as well as a list view option that provides a detailed breakdown of all the tolls you'll encounter on your trip, and these can easily be emailed as a CSV file for reporting or expense purposes. This new update also informs travelers of the method of payment accepted at each tolling facility using colored pins to quickly identify facilities that only accept cash (red pins), and includes discounts for electronic payments for using transponder accounts unique to Mexican toll facilities. These transponder options have now been added to the Tollsmart menu allowing users to select their transponder account to determine which toll facilities accept them.